ASUS ZenFone Max Pro M1 with 6GB RAM launching in PH soon? However, that could soon change. Or at least, that may be the case in India, where the ZenFone Max Pro (M1) was first revealed as a tie-up with online retail giant Flipkart. Multiple reports have speculated that the 6GB RAM and 64GB storage version of the ASUS handset will soon be available for purchase in the second-biggest smartphone market, alleging that it has been spotted on Flipkart’s website. The product listing is still available on the site as of this writing. But because the page remains under construction, you’ll need to dive into its source code to view the phone’s specifications. 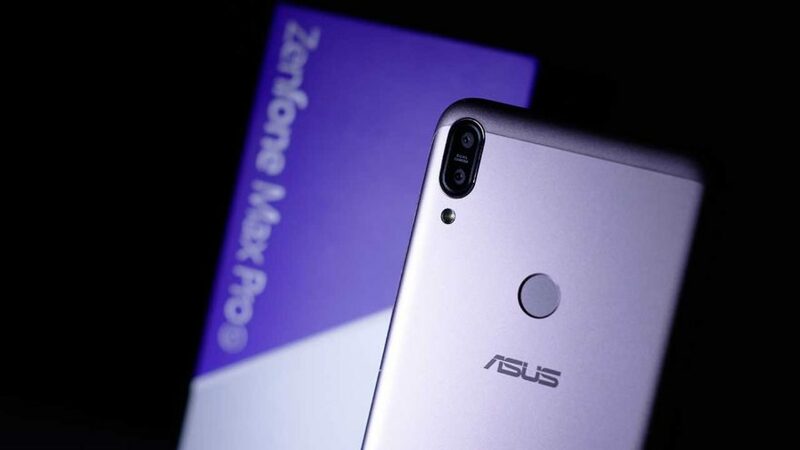 According to the page, the top-of-the-line ASUS ZenFone Max Pro M1 will also arrive with 16-megapixel sensors on the front and back. Both offer a higher resolution than on previous models. Otherwise, the rest of the specs remain in line with what we’ve seen so far: 6-inch LCD display; Snapdragon 636 under the hood; 5,000mAh battery; and pure Android 8.1 Oreo. In India, the top-end ZenFone Max Pro (M1) has been tipped to retail at ₹14,999 (around P11,782 or $221). Of course, it could be that ASUS is planning to announce something entirely different. We may be wrong about this. But there’s also the possibility that we might finally get our hands on the ZenFone many of you have been requesting. If we’re right, it would totally explain why ASUS Philippines opted not to bring the 4GB RAM ZenFone Max Pro M1 here. The invite ASUS Philippines sent to us. 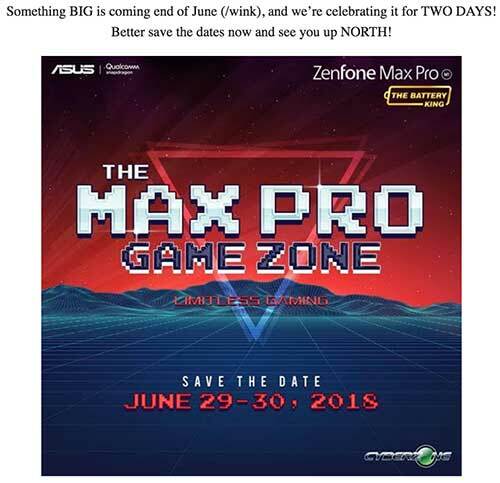 Could the event be a gaming festival or a gaming festival that will also serve as a launching pad for the ASUS ZenFone Max Pro M1 with 6GB of RAM? Guess we’ll have to wait and see.